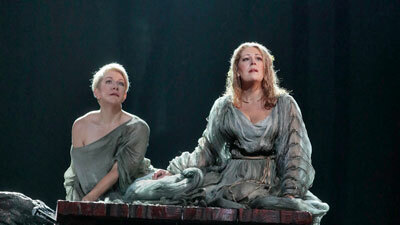 Norma may be the most challenging soprano role in all of Italian opera. Only the very greatest have the technical mastery and vocal acumen to convey all the facets of this virtuosic part. With this legendary cast, everything comes together in this bel canto masterpiece. Joan Sutherland’s ravishingly beautiful voice can do anything Bellini’s spectacular vocal line requires. As Norma’s friend Adalgisa, Marilyn Horne proves that mezzos can sing as gloriously as sopranos. Together they sent audiences into a frenzy. Add poetic Carlo Bergonzi as the man they both love and rich-voiced Cesare Siepi as Norma’s father, and you have one of the all time great broadcasts.